Providence Missionary Baptist Church. Rockingham, NC. 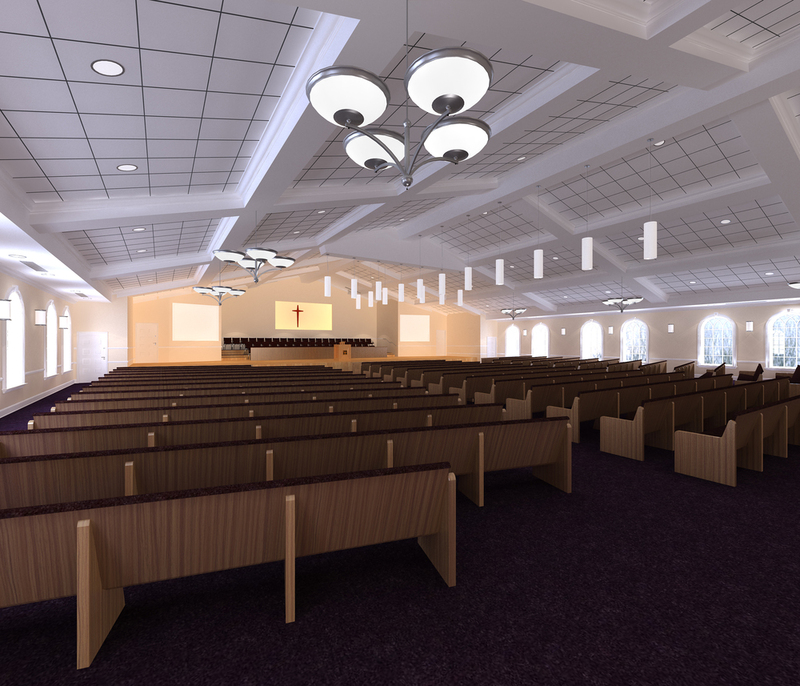 This is a 19,474 SF church facility designed to seat 454 persons in the sanctuary, with overflow seating to accommodate 120 persons. The choir area will comfortably accommodate 48 choir members. Accessible from behind the pulpit area, the baptismal serves as a focal point in the sanctuary and is located above the choir area. A multi-media control room is located at the rear of the sanctuary and will be used for live broadcast and recording of services. A cruciform was a subtle expression integrated into the design of the ceiling from which translucent pendent lighting is supported. Additional spaces within the facility include offices, computer labs, a multi-purpose space to serve a capacity of 208 persons during dining events and classroom needs. A commercial kitchen is located off of the multi-purpose room capable of serving the needs of the church and the community. Construction will include pre-engineered metal framing to satisfy to the open spans of the sanctuary and support spaces, brick veneer and a standing seam metal roof system.